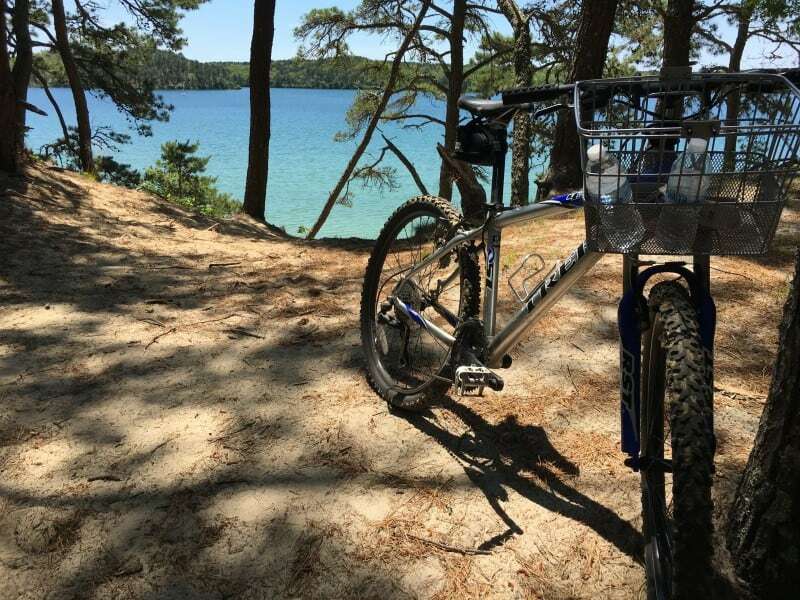 Legendary Cape Cod bike trails that will leave you breathless! 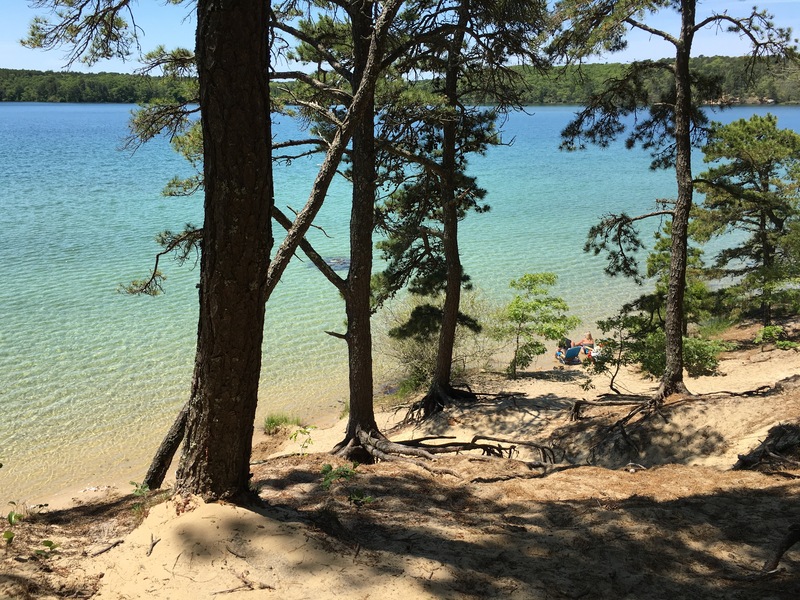 For legendary Cape Cod bike trails you have to get off the beaten path a bit and explore…it is worth it! You should definitely bike Cape Cod while you are here, it is the best way to see the authentic Cape. Slow and rolling beats driving and traffic every time. 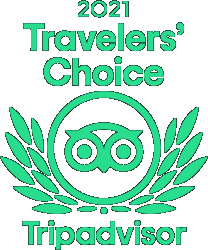 Of course you have the Cape Cod Rail Trail, the Provincelands Bike Trail, the Cape Cod Canal Bikeway, and the Shining Sea Bikeway and they are each phenomenal in their own right. The Cliff Pond bike trail is one of the best and most challenging. This is one of the Cape Cod bike trails that had us grinning ear to ear when we discovered it. You would be hard pressed to find a more beautiful bike trail with nearly absolute privacy. 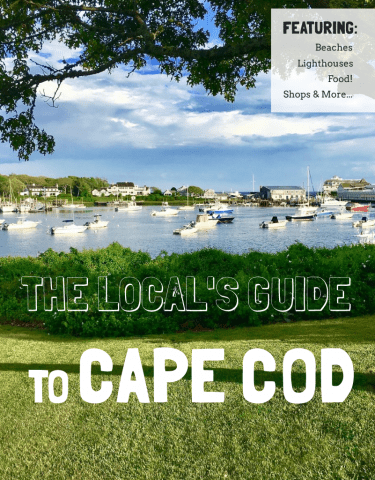 They say the crowds and traffic on the Cape are so bad in July and August that it is a deterrent to some looking to spend their vacation in this amazing place. Click here for the locals secrets to beating the traffic and crowds but know that you can still get away from it all if you choose your location well. 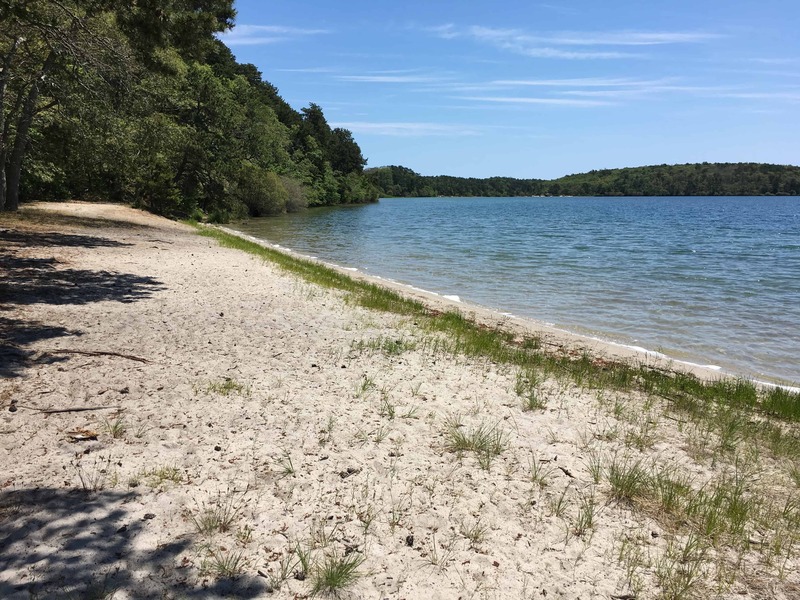 We happened to find a path around Cliff Pond in Nickerson State Park full of out of the way, “secret” beaches that are begging to be discovered. The Cape Cod bike trails we like the best have unspoiled scenery and a chance at swimming to cool off. 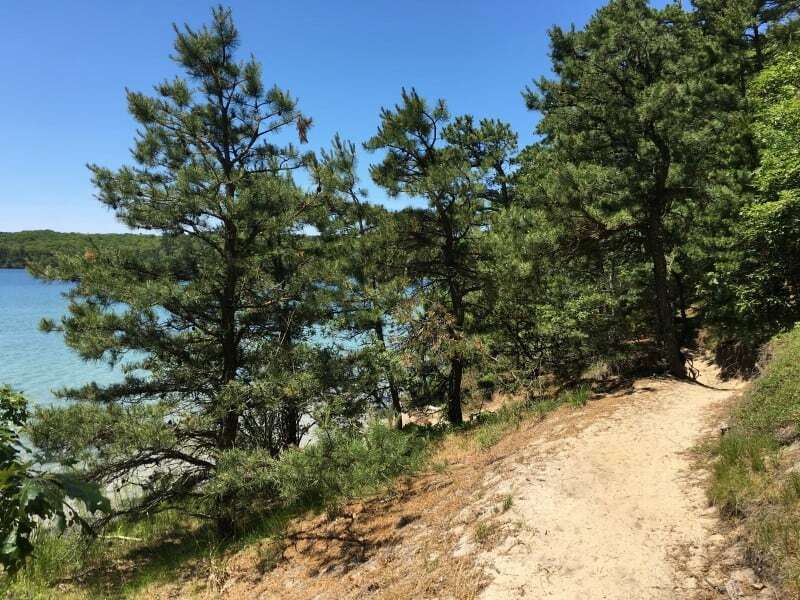 This bike trail around Cliff Pond had incredible scenery, the smell of pine in the air, and just the crunch of sand or pine needles under the tires to spoil the silence. Note that though: the sand under the tires. You will work for your piece of Heaven but know that it is worth it to discover Cape Cod bike trails like this that are surprisingly empty! 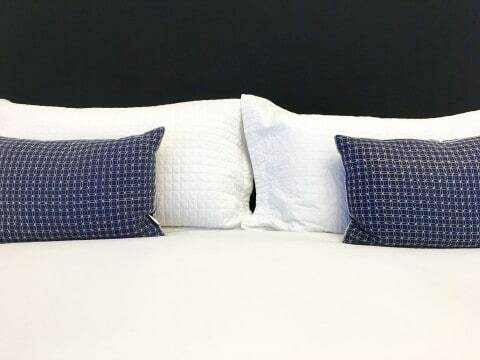 If you are coming to Cape Cod and want access to the best the Cape has to offer, check out the Platinum Pebble Boutique Inn for a luxury Cape Cod vacation. 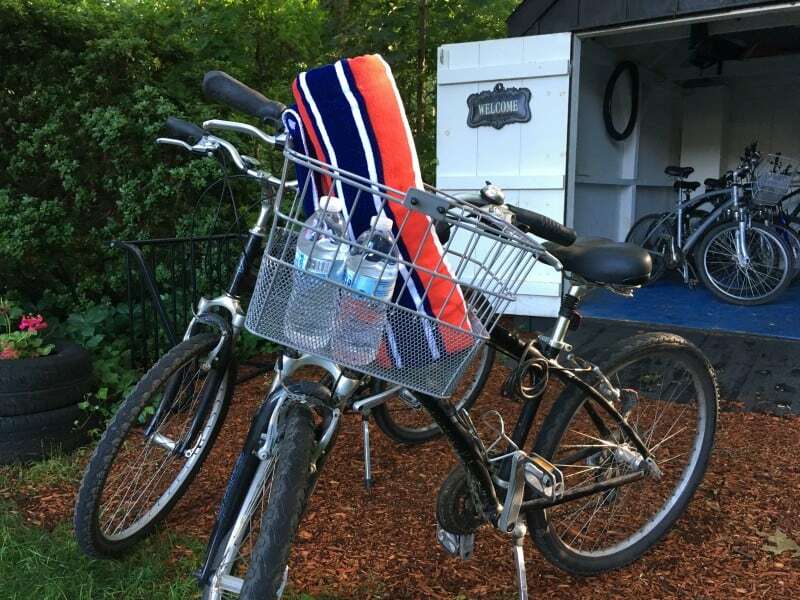 Bikes are complimentary for Guests and come equipped with detachable baskets for easy picnicking! Your Personal Concierge discovers the best of Cape Cod so you don’t have to waste your vacation guessing. If you would like suggestions for things to do, where to eat, and off the beaten path places to enjoy then you are in the right place. 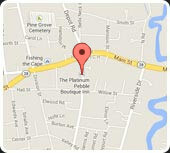 Come enjoy the best Cape Cod bike trails and have the time of your life!